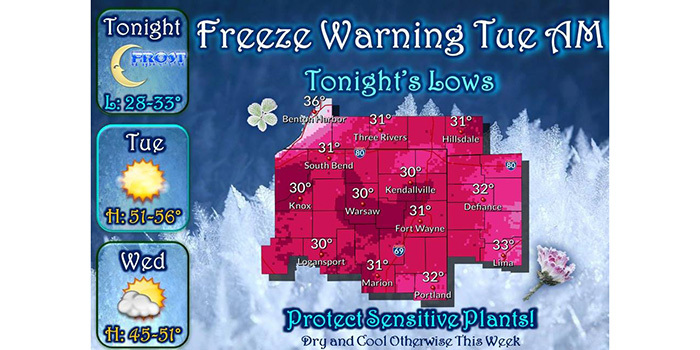 KOSCIUSKO — The National Weather Service of Northern Indiana has declared a freeze warning for Kosciusko County. The warning is in effect from 2 to 9 a.m. Tuesday, Oct. 16. Temperatures will drop down to the 20s and 30s.